Biophilia is the concept that humans have an innate desire to connect with nature and natural systems. Biophilic design builds on this human-nature connection to give designers a new framework to create spaces where people are healthier, more satisfied, and more productive. Biophilic design is based on research that identifies specific design patterns that have measurable, positive impacts on human health. Learn more and register. Call for Educational Content. Share Your Ideas. ASID seeks to identify new and unique presentations for its 2016 programming at national conferences and industry events, including the new LAUNCH: ASID National Student Summit and the Design to Lead Summit. We invite you to submit ideas for live education sessions for a variety of audience types, ranging from students to advanced professionals. Proposals will be accepted from October 12 to November 20, 2015. Review the RFP for additional details and submission guidelines. ASID is headed to the Market. Will you be there? There’s still time to register. Join us at the world’s largest furnishings industry trade show; we’re bringing together thought leaders and industry experts to present impactful, career-building educational content. Bonus Sessions (Oct. 16, High Point Theatre) | Before the market officially gets underway, experience these in-depth workshops that will cover best practices and ways to enhance your business acumen. Design Viewpoint Series (Oct. 17-20, High Point Theatre) | Presented in cooperation with ASID and sponsored by Horchow, this lively and informative seminar series offers business-building ideas form design industry leaders. Houzz University (Oct. 17, 18, and 19, High Point Theatre) | Led by Houzz experts, this interactive hands-on workshop will help you create a Houzz profile or strengthen your current one. Society Soiree (Oct. 19, 4-6 p.m., Natuzzi Showroom) | Connect with old friends and colleagues, and network with potential clients and collaborators. Join the ASID Carolinas Chapter and Natuzzi for a Society Soiree. RSVP required. 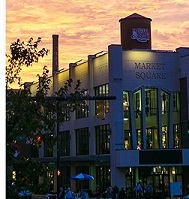 Learn more about the Society's presence at High Point Market. Now through Dec. 7, the ASID Foundation is accepting proposals for its fifth annual Transform Research Grant. This year, the Foundation will award up to $100,000 in grant money to evidence-based research projects that address the impact of design on learning and how to design spaces that optimize the learning experience. Design professionals, clients, scientists, and educators are encouraged to apply. Interdisciplinary collaborations are also welcome. For complete submission guidelines and additional information about the ASID Transform Grant, download the RFP. Just around the corner from Nashville's famous music row sits the Hutton Hotel, an upscale lodging for the eco-conscious traveler, complete with electric car charging stations and a state-of-the-art temperature control system that preconditions air to set the temperature in a way that simultaneously maximizes comfort and efficiency. With renewable flooring and a heat absorption roofing system overhead, your stay will be marked by sustainable amenities whether you’re aware of them or not.